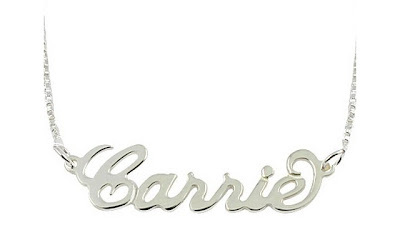 Daily Jewelry Deal: Silver Personalized Name Necklace $21.48 Shipped! This Sterling Silver Personalized Name Necklace - Custom Made Any Name is currently selling for just $16.99 on Amazon.com! You will be saving 47% off the listed price of $32.00 with this jewelry deal. Chain lengths are: 14",16", 18", 20", 22"
More product information . . . Shipping for this item is $4.49.